Even as the focus seems to have momentarily shifted to the repatriation of the Rohingya refugees, all is certainly not well in the Rohingya camps in the Cox’s Bazar district of Bangladesh. 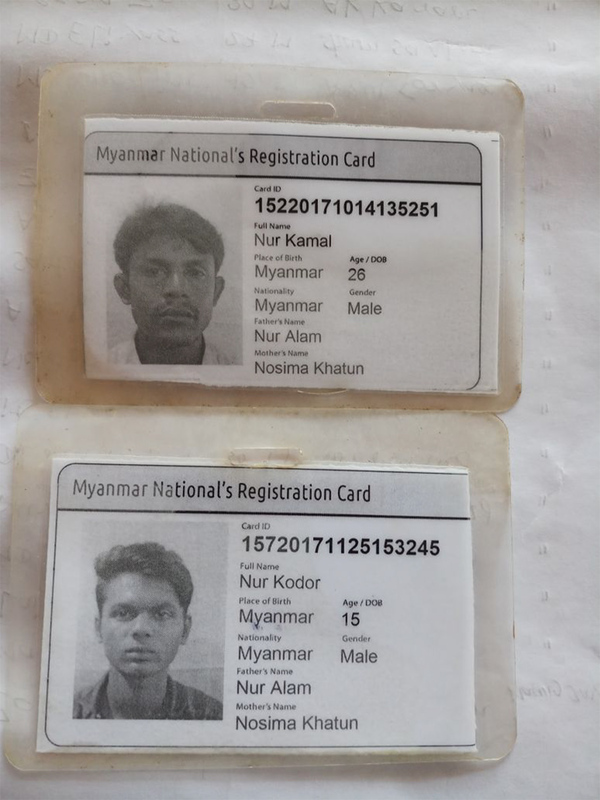 While relief agencies and “camp-in-charge,” the camps’ administrators, report a growing number of disappearances of Rohingya elders and youths, another disturbing trend that has come to the fore is that of Rohingya youths being picked up without prior notice — allegedly by the Detective Branch of Bangladesh — for interrogation on suspicion of having links to the Arakan Rohingya Salvation Army (ARSA). The disappearance of two siblings — Nur Kamal, 26, and Nur Kodor, 15 — from their camp in Uthiya Upazila on Dec. 14 is a case in point. According to sources, the two were returned to their camp a few days ago. No one is yet sure what could have led to their disappearance or detention for more than a month by the Detective Branch or by any other group. Just about everyone is tight-lipped about the incident, leaving it shrouded in mystery. Missing persons cases like this one and more than a dozen others over the past five months have had the grapevine working overtime. Of the many theories making the rounds in Cox’s Bazar, the two about possible links to ARSA and a growing human trafficking network have set alarm bells ringing among authorities. 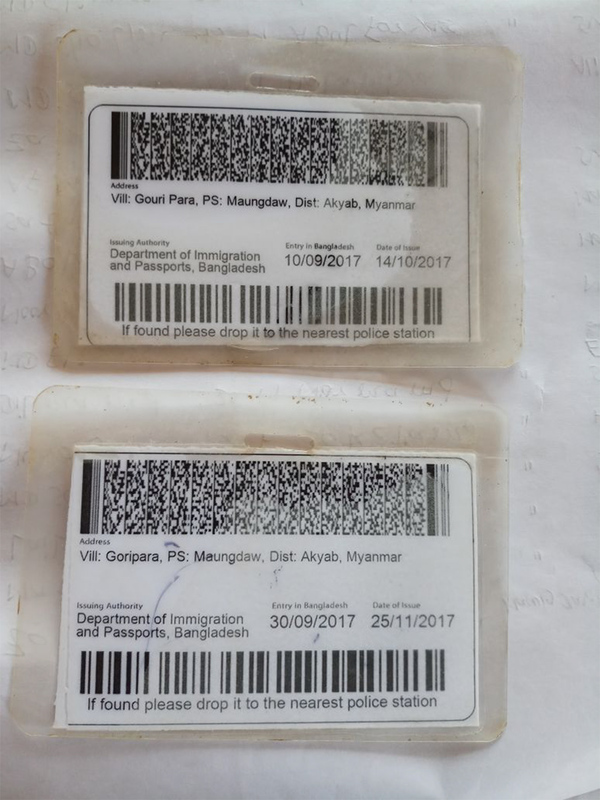 Could it be that the district administration of Cox’s Bazar is in possession of some solid evidence that has prompted the Detective Branch to conduct surprise raids and pick up Rohingya youths from their camps? Thus far no one is speaking up. The district authorities have refused to share information. If there is any truth to ARSA connections either to the arbitrary arrests or to the missing persons cases, then surely it would have to do with the agreement Bangladesh and Myanmar reached recently to share intelligence on any activity related to the Jihadi militant outfit. Last year the Myanmar government is said to have provided Bangladesh with a list of 1,300 people with ARSA links. Sources working for relief agencies said camp-in-charge, magistrates and police in the Balukhali area of Uthiya Upazila have specific information on the storage of camouflage uniforms and small arms in certain huts that has led the Detective Branch to carry out surprise raids. However, this information could not be independently verified because of a lack of access to the intelligence agencies. And so it remains extremely difficult to settle on a reason for such incidents. But what is worrying is that there has been a steady rise in the number of disappearances. The case of Nur Alam and Nur Kodor could remain a mystery until authorities come clean. The only thing that is known is that soon after the two disappeared their parents lodged a complaint with the police and with Balukhali 1 Block B (32) camp-in-charge Mohammad Talut. They also asked for the help of international relief agencies that may have put pressure on police to track down the two young men and ensure their safe return. Meanwhile, the other growing threats that cannot be ignored are an expanding human trafficking network and the lure of working as drug mules. The ugly face of human trafficking is rearing its head in Cox’s Bazar, making the environment even more hazardous and unsafe for the vulnerable Rohingya refugees. Cases like that of Nur Kamal and Nur Kodor have thrown up many unanswered questions and most of them point to a growing trafficking network of drug smugglers working in collusion with Muslim fundamentalist groups such as ARSA. What is even more worrying is that Rohingya youths willing to learn and engage with international organizations on relief work and community service are being targeted by radical groups in the name of freedom and a better life. Such incidents have been reported before. The media in Bangladesh and India have been reporting regularly on the growing menace of the trafficking of Rohingya in both Bangladesh and Myanmar. News stories about the human trafficking networks growing in tandem with the smuggling of drugs — mostly yaba, or methamphetamines — from Myanmar to Bangladesh and of drug cartels operating in these areas are not new. Groups documenting and fighting the drug- and human-trafficking trades say the problem has thrown open a Pandora’s Box, corroborating reports of a nexus between the two and of Rohingya youths falling prey to the menace. It is not difficult to see the web. Those who have spent the past four months in the Rohingya camps either as relief workers or aid monitors say they fear the worst. “Vulnerable Rohingya youths and men are being used as shields for traffickers who have crossed over from Myanmar posing as refugees and have gotten mixed up with the community and live among them with absolute impunity,” one of them said. The Bangladesh media are also awash with reports on a drug cartel thriving off its connections to politicians and other high-ups in Chittagong. The role of Teknaf Upzila Chairman Jafor Alam and ruling Awami League lawmaker Abdul Rahman Bodi in the yaba trade has frequently surfaced in media reports. On Dec. 6 The Dhaka Tribune of Bangladesh reported that Jafor Alam’s house was raided by a narcotics joint task force on Oct. 18 and that 31 Rohingya who had allegedly smuggled yaba across the border were detained. More than 200 people have been arrested by security agencies in Bangladesh, most of them Rohingya men. If what the Bangladesh media have reported is to be believed, more than 500,000 yaba tablets have been seized since Aug. 25. Law enforcement agencies have also revealed recently that more than 500 yaba smugglers have entered Bangladesh from Myanmar since Aug. 25 by posing as Rohingya refugees. The agencies also suspect that an additional 1,000 yaba mules have slipped into the country in the past three months by other means. So even as law enforcement agencies continue trying to solve the mystery of the missing persons and determine their fates, the governments of Bangladesh and Myanmar must ponder this growing menace as it could easily become a thorn in the side of both countries and impact the repatriation process in more ways than one.